Humans come in a splendid spectrum of diverse colors: light, dark, simple or freckled skin, blond and alike but then who doesn’t crave for that perfect beautiful look with a glowing flawless white skin? Well in this portal, we have some basic home tips for fair skin which are often ignored. People having white complexion with the veins being visible from under the skin are said to have a fair skin. The basis of fair skin ranges from being either genetical or exposure to sunlight. Generally, people who are geographically situated near equator are believed to have a darker skin tone due to higher exposure to sunlight. People often complaint about body tan and most of the skin discoloration is due to the sun. Whenever our body is exposed to sunlight, melanin is produced which protect the DNA from being affected by the UV radiations. Being dark in color, if large amount of melanin is produced, the skin tone will turn darker. Natural Remedies are very handy and come without any side effects. They include the usage of fruits, vegetables and herbs which are very effective if you use the right combination. The home remedy tips are very safe and extremely cost effective. This is one of the reasons why people are attracted towards them. Alternatively, you can opt for cosmetic tips which include chemicals, artificial agents, mud packs and other fairness creams or mixture of chemical agents. While cosmetic methods are not usually advised, natural beauty tips for fair skin are highly recommended by the skin experts. Scroll on to know more about these natural tips. Apply a teaspoon of honey on your face and gently massage it in a circular direction, at least twice a day i.e. in morning and before going to bed but avoid using milk with honey. Fruits besides providing the essential vitamins have proven to lighten the skin tone. You can peel off the papaya skin and crush it to make a thick paste. Apply it on your face and wash off after an hour. Constant application for three months will yield positive results. Natural Herbs like Basil, commonly known as tulsi not only cures illnesses if consumed but can prove to be magical for skin as well. You just need to take few tulsi leaves and grind them with stone and then apply it on your skin gently. Wash off after few minutes with lukewarm water. Applying tulsi juice on skin also helps to get rid of all kinds of skin problems. Three weeks of regular use will show beautiful results. Rose Water also serves the purpose. You can either purchase it from market or prepare it at home itself. For preparing rose water, just peel off rose petals and soak them in water for 1 day. Wash off your face with rose water daily but remember to avoid soap application on face with rose water. Apply 1 tbsp of curd on face every day in morning for 4 weeks to achieve an acne-free, clear and fairer skin. Since cucumber contain elements that helps in reducing melanin and erasing sun tan, applying it on face will let you have a fair complexion. You can either grate the cucumber into paste or extract its juice and apply on face. Wash off after few minutes. 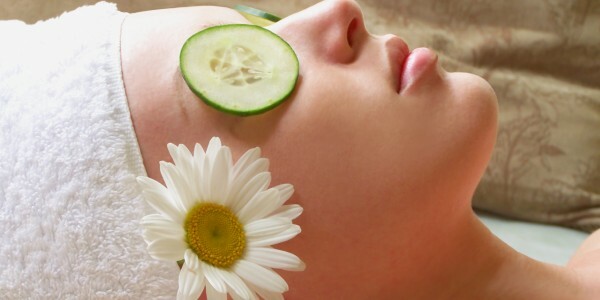 Apart from giving fair skin, cucumber also removes acne and extracts heat out of the body. Washing face with coconut water is also a natural home remedy to get fair skin. Wash your face with it whenever you come home from outside as it removes sun tan instantly. You can also rub your face using coconut and then wash off with water. Applying lemon juice on face for 4-6 weeks also helps to get fair complexion. You might get some pinching sensation after applying it, but that it normal and not due to any side effect. Tomato has been associated with fairer skin for ages now. You can either apply tomato pulp or tomato juice on face to get the desired fair tone. To see effective results, continue using tomato for about six months. Potato is widely known for reducing the dark marks or scars from face. So if you’ve got any scars or burnt marks on your face, rub your face with a thin potato slice or apply potato juice on your face. Egg yolk is considered to be the best home remedy. Just put it in a bowl and make a paste by adding a spoon of curd and honey to it. Apply the mixture as a face pack and wash off with cold water once it dries up. Combine powder of rose petal and orange peel in milk. This is one of the most amazing scrub packs for having a cleaner and fairer skin. You can use it on daily basis in the same ration to prepare a paste in milk. This will leave you with a lighter and softer skin which you always desried. If you are ready to spend a bit, then you must try milk and saffron. Mix some saffron to 250ml of milk and apply the mixture on your face evenly. You’ll definitely see your skin complexion turning pink and pretty. Application of a dash of sandalwood paste for just a month will definitely lead to glowing white skin. Previous: What Happens When You Quit Drinking Alcohol?